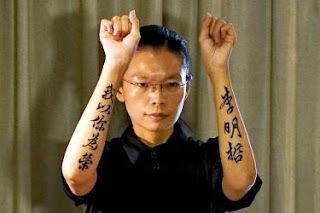 A Taiwanese rights activist was the first person from Taiwan to be convicted of subversion on the mainland and sent to five years in jail. Lee Ming-cheh was sentenced at Yueyang Intermediate People's Court in Hunan province along with his co-defendant Peng Yuhua, a mainland rights activist, also convicted of subverting state power and handed a seven-year prison sentence. Reaction in Taiwan was immediate, with the Mainland Affairs Council describing Lee's sentence as "unacceptable" and demanded his release as soon as possible. Lee and Peng were also deprived of their political rights for two years and both said they would not appeal their sentences. This is interesting considering Taiwan does not consider itself a part of the mainland, so how can Lee have his political rights taken away in the first place? 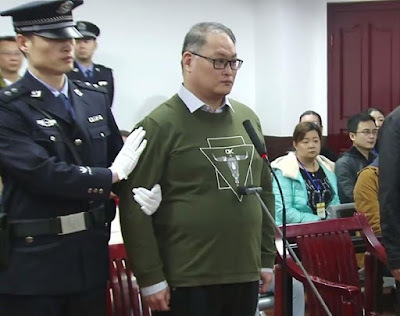 The judge said Peng had planned and set up an illegal organization with the purpose of subverting state power and attacking China's constitution. Drawing evidence from his online chat history, the court found Lee was "an active participant" in the actions, which grew from the internet chat group he started in 2012. 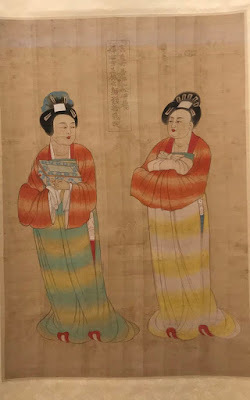 Apparently the group expanded across the mainland, and its key members held meetings in person. The judge said Lee and Peng encouraged others to be hostile towards state power. Roseann Rife, East Asia research director at Amnesty International, said Lee was a victim of "a politically motivated prosecution". "The evidence against him is not credible, his conviction preposterous but predictable. He is the latest to suffer under the [mainland] Chinese authorities' relentless attack against human rights and democracy activists," Rife said. Lee was a volunteer for the Taiwan Association for Human Rights who went missing during a visit on the mainland in March, and was held for more than 170 days before his court appearance in September. Up until then he had been traveling to the mainland without incident for a decade. The Central government later confirmed he was being investigated for allegedly endangering national security. Lee previously worked for Taiwan's governing party, the independence-leaning Democratic Progressive Party. It's sad to see Lee has been convicted and sentenced, but surely he would have known the risks. In the meantime relations between Taiwan and the mainland are going to get worse following this sentencing.